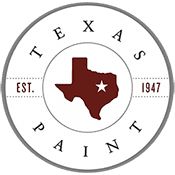 Texas Paint offers commercial Texas Painting contractors great pricing on equipment and free delivery of all our products in the metro area. We also carry a full line of Benjamin Moore industrial and special products designed with your needs in mind. To show our gratitude to our loyal commercial contractors and their businesses, Benjamin Moore offers Contractor Rewards™*, our FREE rewards program. To show our gratitude to our loyal contractors and their businesses, Benjamin Moore offers Contractor Rewards™, our FREE rewards program. Open to all contractors, this program awards points for your purchases of Benjamin Moore and its family of brands including paints, stains and specialty coatings. To apply for credit with Texas Paint and Wallpaper, please email us at newaccount@texaspaint.com. Call (214) 823-4574 for more information. 30 days no interest/no payments* / No annual fee. To apply for credit with Texas Paint and Wallpaper, please download this form and bring a printed copy to your nearest Texas Paint and Wallpaper location or email a scanned copy tonewaccount@texaspaint.com.